The Studio Vocalist was a high-output passive symmetrical ribbon microphone with a frequency response tailored for vocal recording. Most ribbon microphones have a rolled-off high end, often described as a “dark” sound. In contrast, the Studio Vocalist is more or less flat to 10kHz. Company literature described this as a “rising response,” which was said to sound like a large-diaphragm condenser albeit without any high-frequency harshness. The Studio Vocalist motor tailors bass response without attenuating the overall output using a proprietary damping and matching system that produces a frequency response that sounds full in the low and midrange, providing great presence on amplifier cabinets. In addition, we have custom designed an impedance-matched ribbon assembly so the microphone achieves an accurate high range response, which is ideal for capturing fast transients in vocals, acoustic instruments, and concert halls. The ribbon motor was typical of Crowley and Tripp’s highly engineered designs, with solid silver contact blocks, rigid point-to-point wiring, and extremely tight tolerances throughout the system. All surfaces were plated to resist corrosion with a goal of building a 50-100 year life expectancy into the microphone. 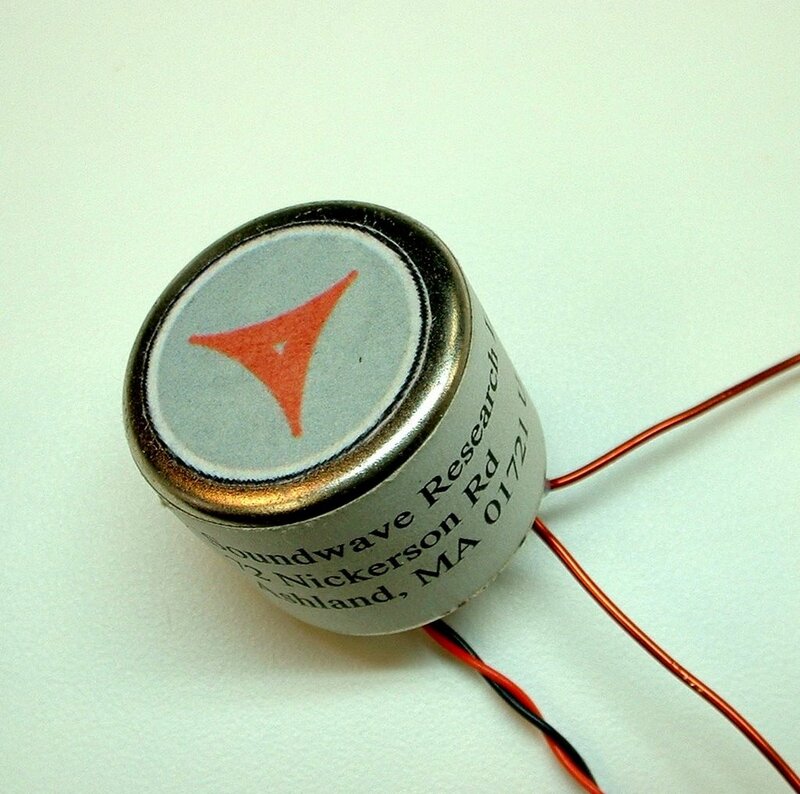 No foams, rubber, or plastics that might degrade were used in the microphone. 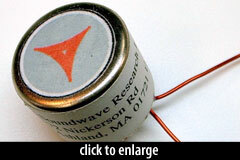 The output circuit used a triple-shielded transformer designed and built by Crowley and Tripp for high output, low noise, and to suit the voicing of the microphone. The Studio Vocalist was introduced with a high-strength 2.5-micron aluminum ribbon. The company had enough confidence in the longevity of this material that they covered the microphone with a lifetime warranty. The mic was initially released in 2005 at a price of $1395, and later sold for $1695. 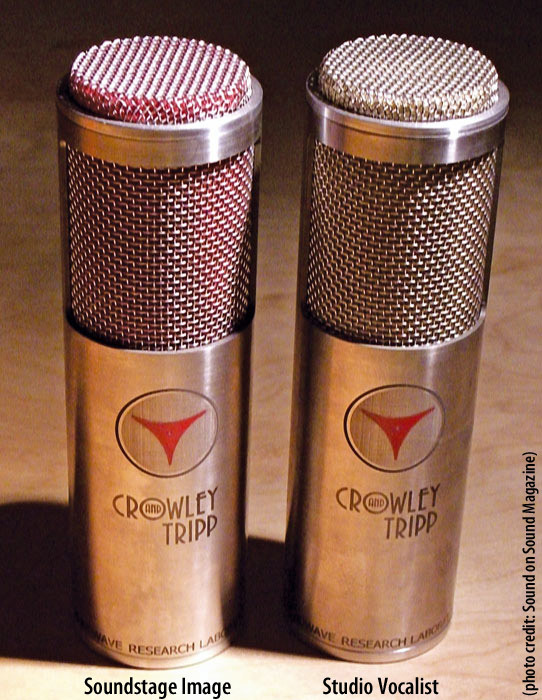 At the AES show in the late summer of 2008, Crowley and Tripp showed the Studio Vocalist microphone with a Roswellite ribbon. This change would not have altered the frequency response or output level of the microphone, but would raise the mic’s SPL handling capability from 126dB to about 146dB and meant the mic would probably never need to be re-ribboned. All Studio Vocalist mics sold in 2009 had Roswellite ribbons. 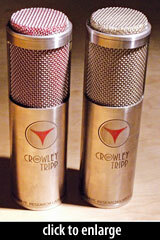 Shure acquired the entire Crowley and Tripp product line in April, 2009. No plans have been announced regarding a rerelease of the Studio Vocalist microphone. We found this to be generally very clear and detailed with a surprisingly extended top-end compared with the other ribbons… ribbon smoothness was still in evidence, with none of those nasty high-frequency resonances you get with some condensers. The bottom end was very controlled, verging on small for a ribbon.